Home / In The News, Technology / We’ve welcomed another VMC! 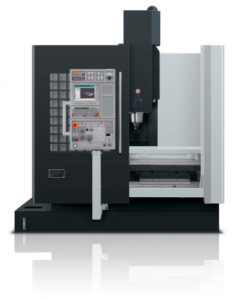 A DMG Mori DuraVertical 1035 eco vertical machining center recently hit the floor at Imagineering Machine Inc. With a 40.00″ (X) x 22.00″ (Y) X 20.00″ (Z) travel, we have expanded from the machine it replaced. In addition, the machine has thru-spindle coolant and a high pressure coolant pump to achieve better surface finishes while increasing tool life. The new addition brings the total number of machine tools at Imagineering Machine Inc to fifteen (15) including 8 vertical machining centers, 1 5-axis machining center, a horizontal machining center, four (4) CNC turning centers, and two (2) wire EDM machines. For more information on our equipment, capabilities, and ways we can help grow your business, contact us any time.